This year, the Chinese new year is on the 3rd of February. I made this little card to celebrate and join in the festivities in the year of the rabbit. I made this card using Tim Holtz distressing inks from Ranger - Broken China and Peeled Paint. Also used the resist embossing technique to draw to make the embossed images POP! where multiple panels are hung together to reveal a story. This worked beautifully on this card, don't ya think? Finally added Text that says "Happy New Year" in Mandarin. The papers I used are Eastern Promise by Dovecraft. Do let me know what you think. 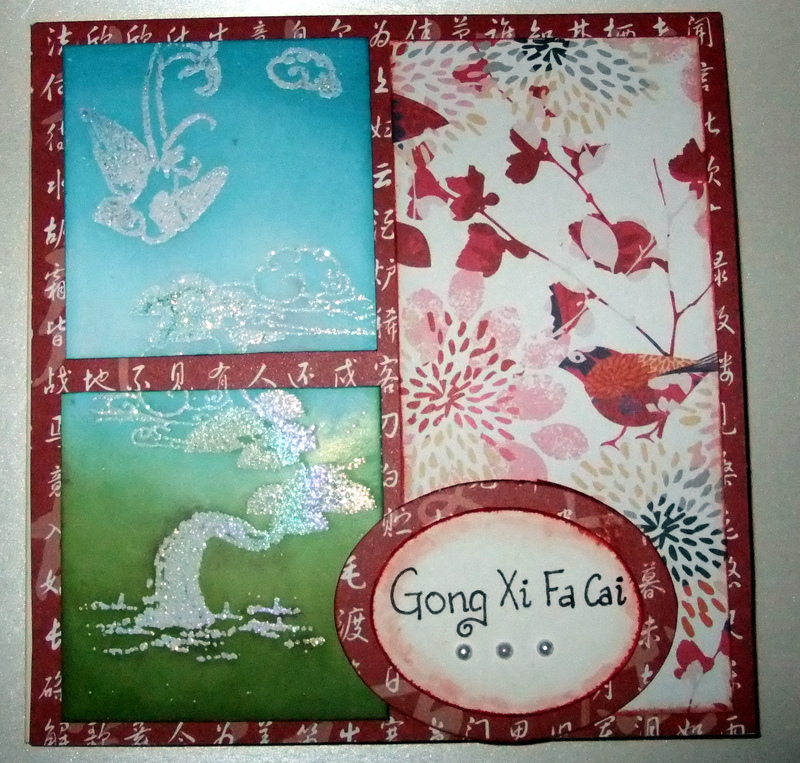 I've entered this card in the Cardmaking and Papercraft challenge.